This image provided by Swann Auction Galleries shows an undated photograph of Harriet Tubman, the 19th century abolitionist. Experts said the newly discovered photo of the Maryland-born Underground Railroad hero was taken in Auburn, N.Y., in the late 1860s. 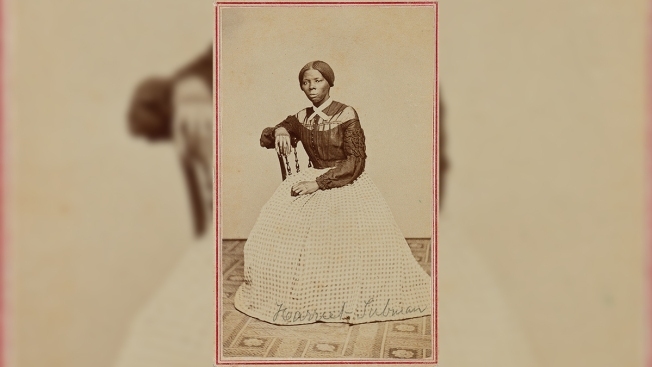 The newly designated Harriet Tubman national historic site in central New York has launched a crowdfunding campaign to buy a rare photograph of the 19th century abolitionist. Swann Galleries in New York City said earlier this year it would offer the photo for sale at its Manhattan auction house on March 30. Experts say the newly discovered photo of the Maryland-born Underground Railroad hero was taken in Auburn, New York, in the late 1860s. Harriet Tubman Home on Tuesday started a "Bring Harriet Home" online fundraising campaign with Women You Should Fund, a platform for supporting woman-led projects. The goal is to raise up to $30,000 to buy the photo at the auction and bring it to Auburn, where Tubman's former home is now part of the national parks system.